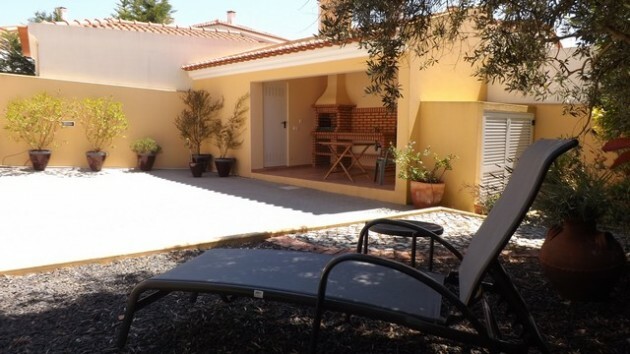 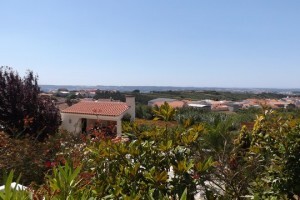 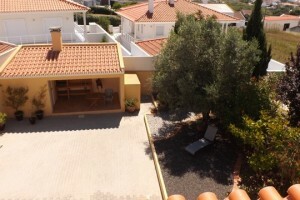 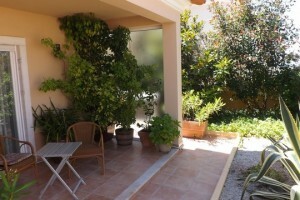 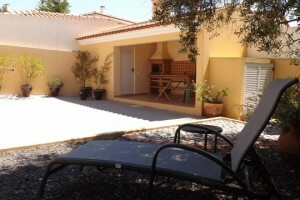 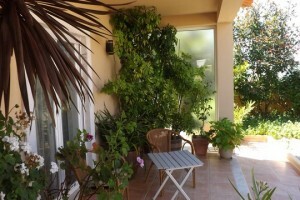 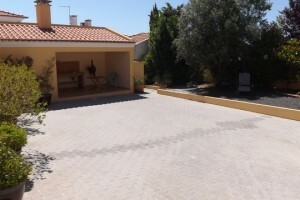 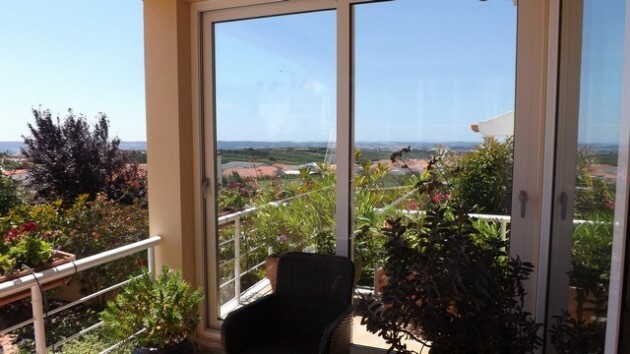 Villa for sale in Portugal on the outskirts of the medieval town of Obidos with a gorgeous mature garden, covered BBQ area and fantastic views. 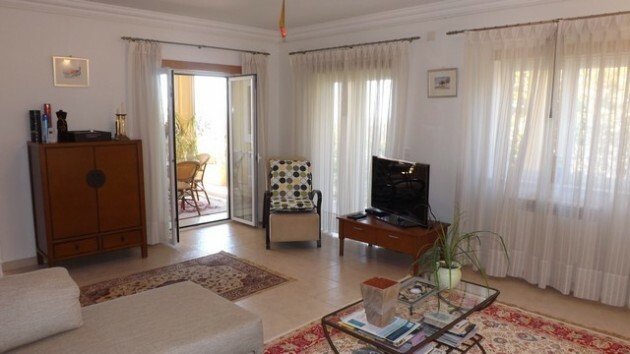 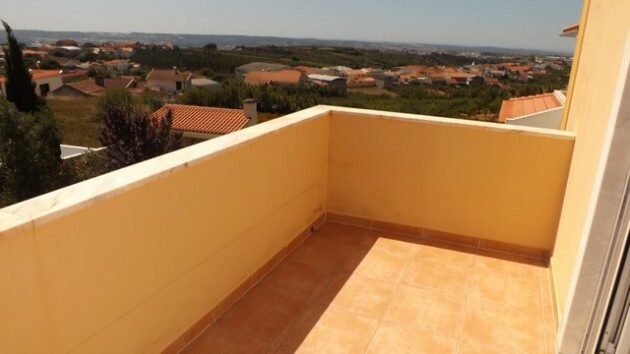 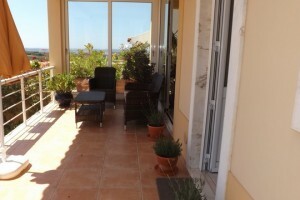 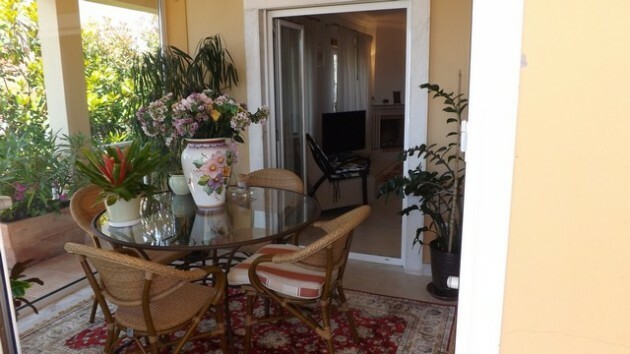 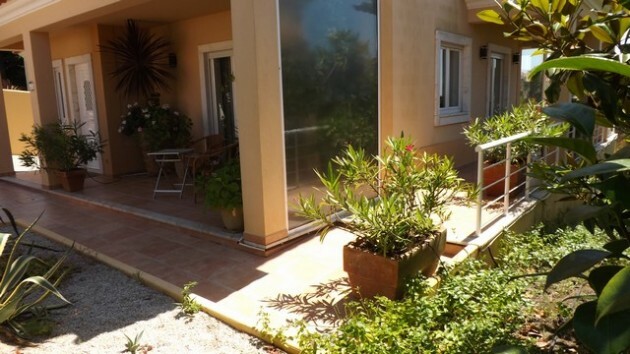 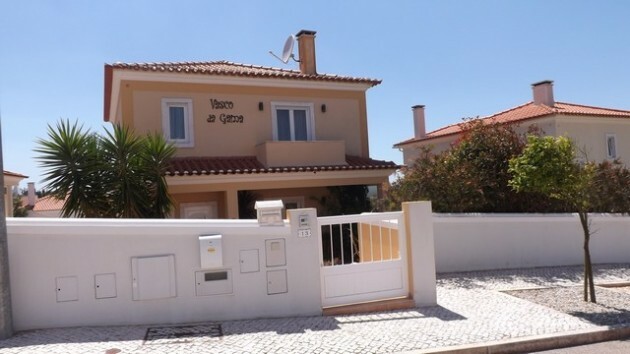 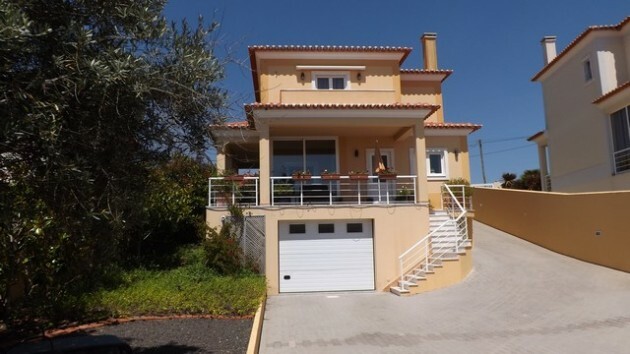 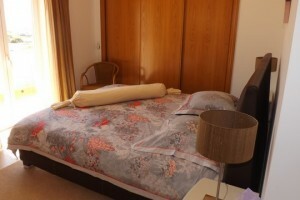 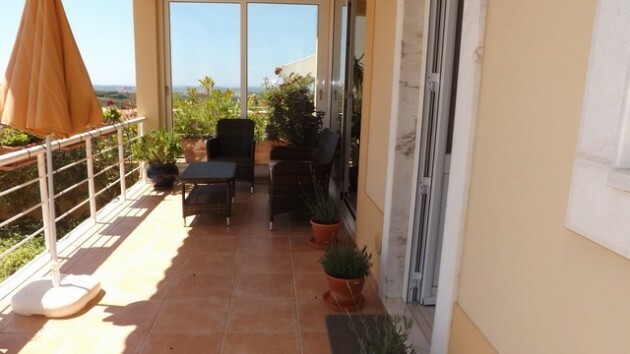 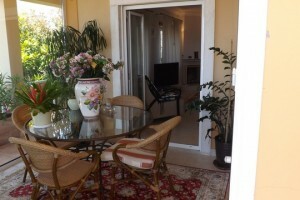 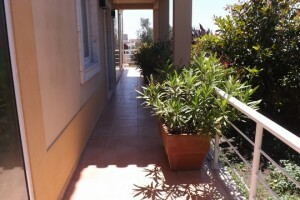 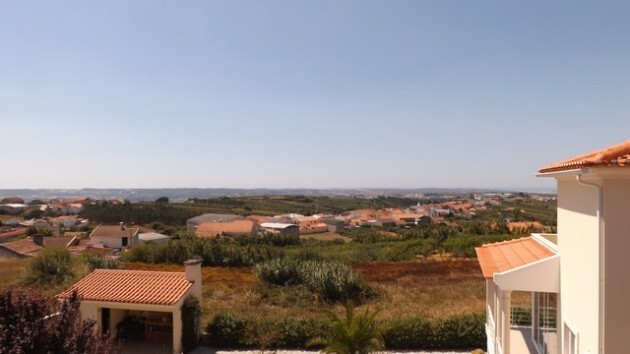 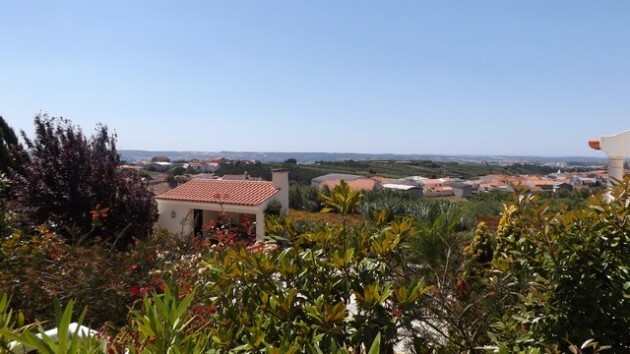 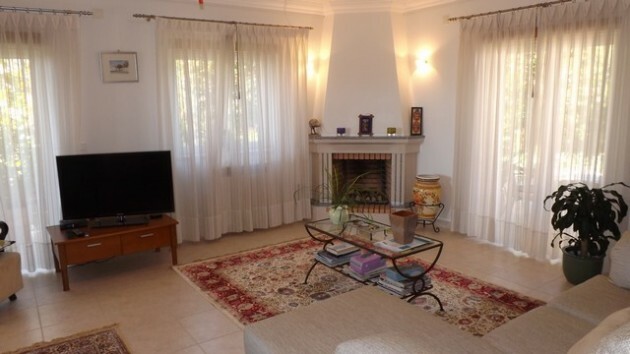 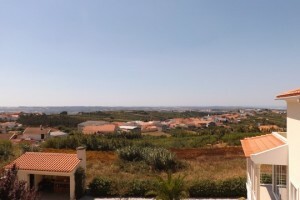 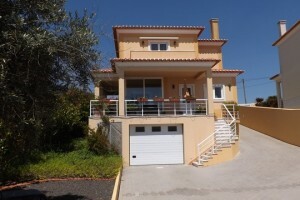 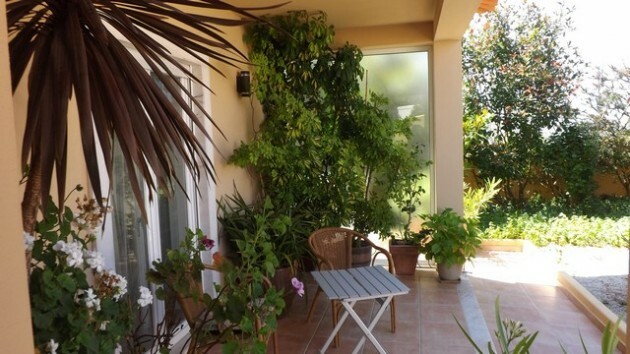 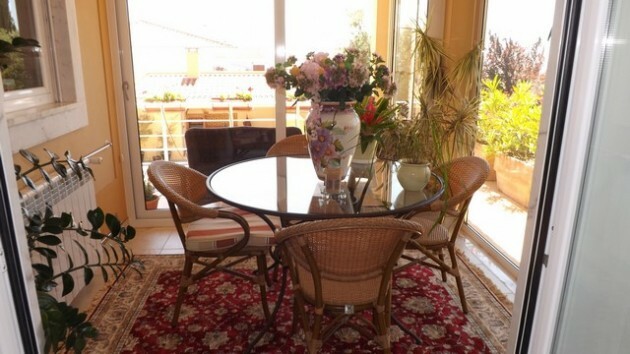 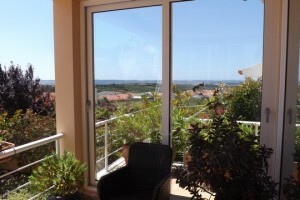 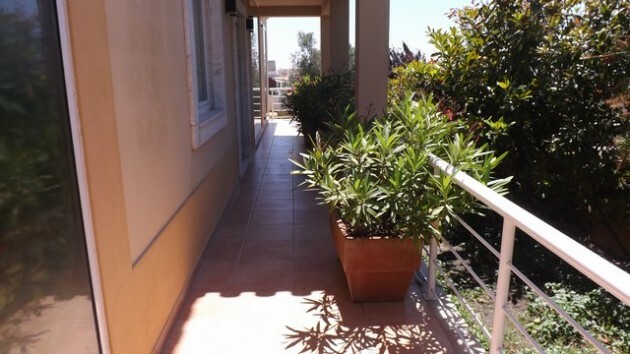 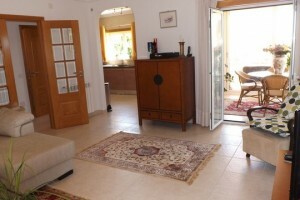 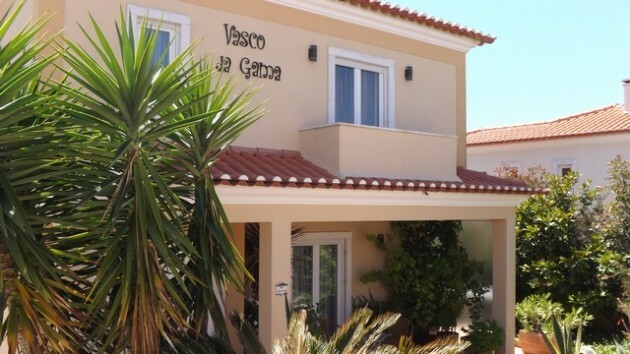 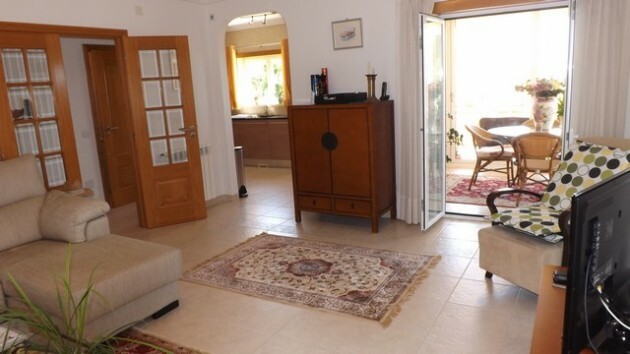 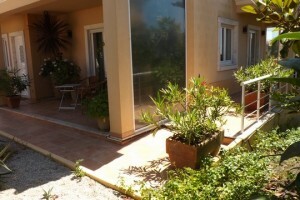 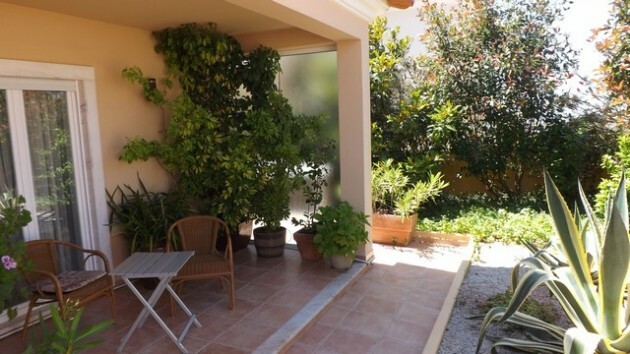 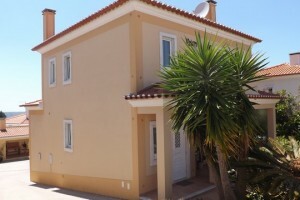 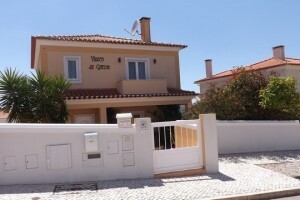 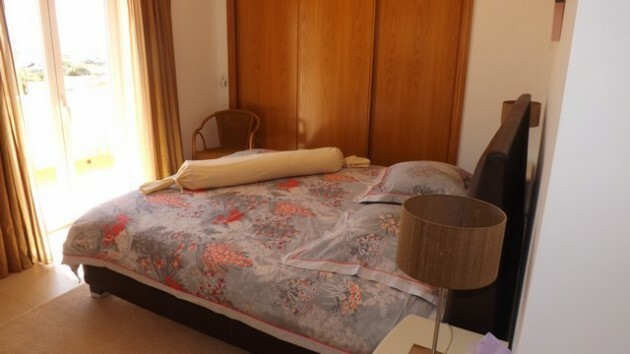 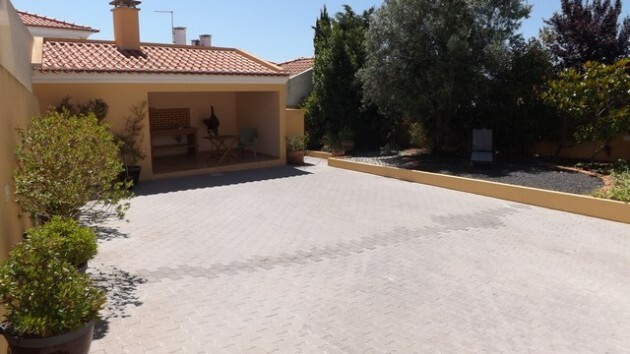 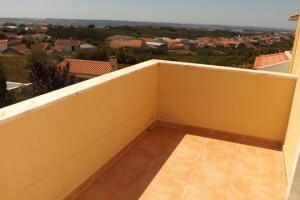 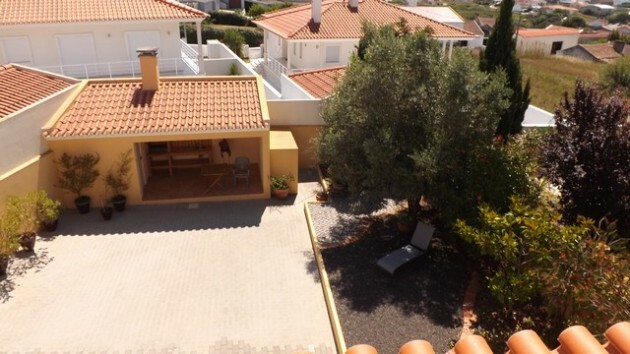 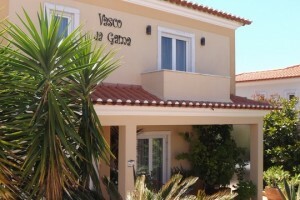 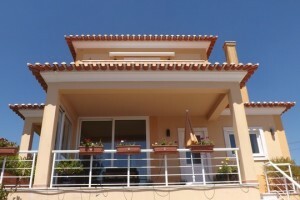 This 3 bedroom house comprises of a ground floor with a large living room including a gas fireplace and doors leading to the large terrace with panoramic long distance beautiful views over the lagoon of Obidos and Foz do Arelho beach. 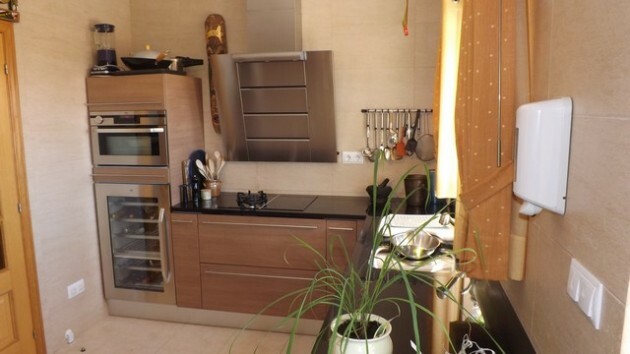 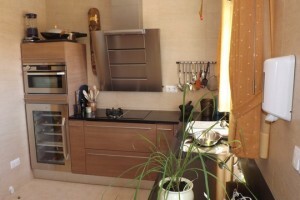 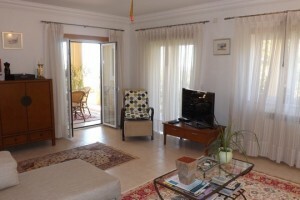 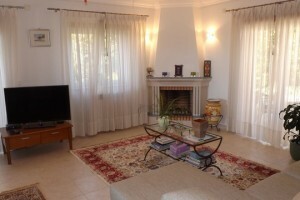 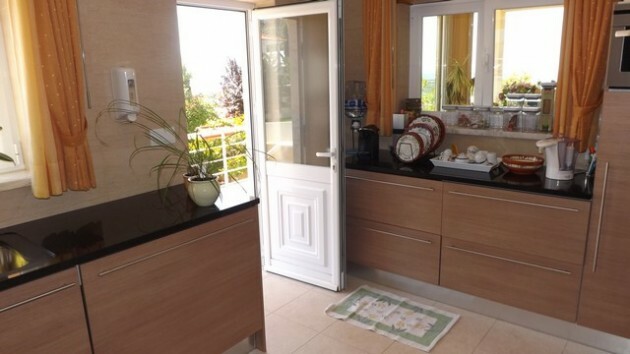 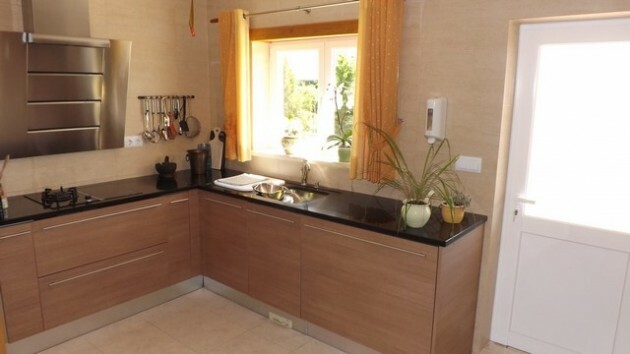 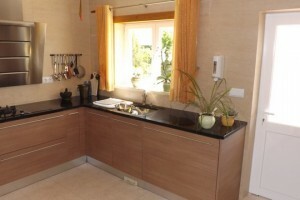 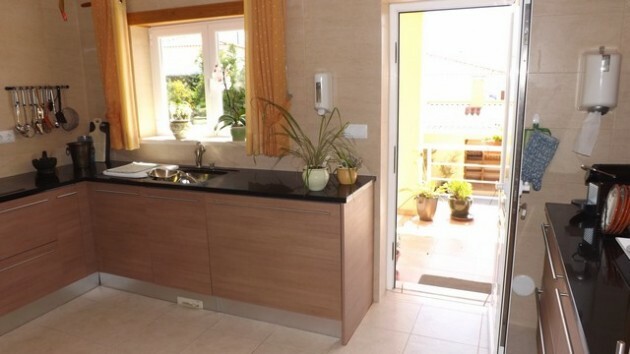 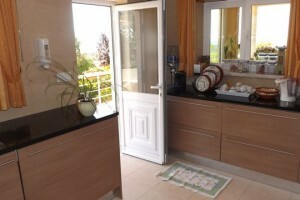 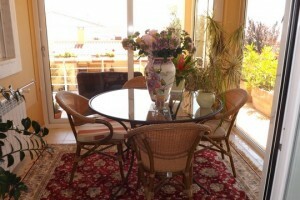 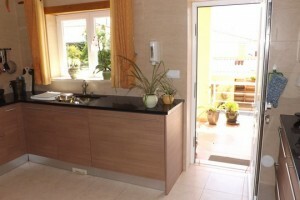 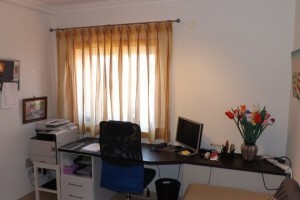 A fully equipped kitchen with high quality appliances and a separate wc complete the ground floor. 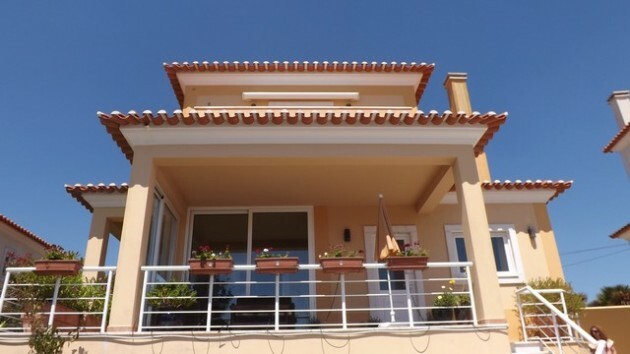 The first floor is complete with 3 bedrooms, the master bedroom with shower room and balcony, a second bedroom with bathroom and balcony and a third bedroom currently used as an office. 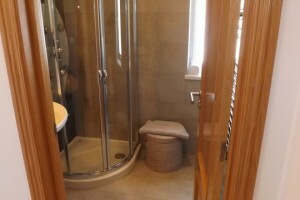 The basement is very large with enough space for 3 cars and it has a laundry room, machine room and a shower room. 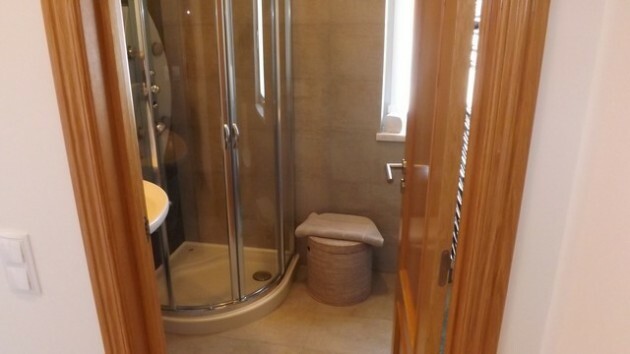 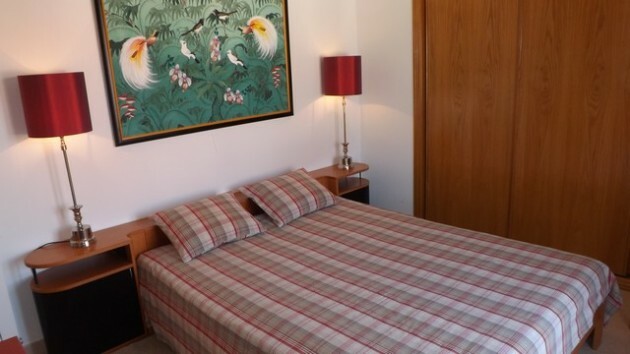 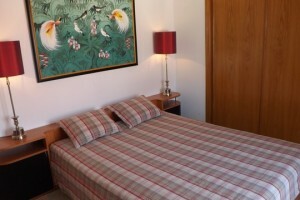 Some of the property features include electric shutters (Domotica system), video intercom, central heating with radiators, towel rails in the bathrooms, a boiler for hot water, central vacuum, pre-installation for air conditioning, wardrobes in the bedrooms, fully equipped kitchen, top quality materials made at owners demand. 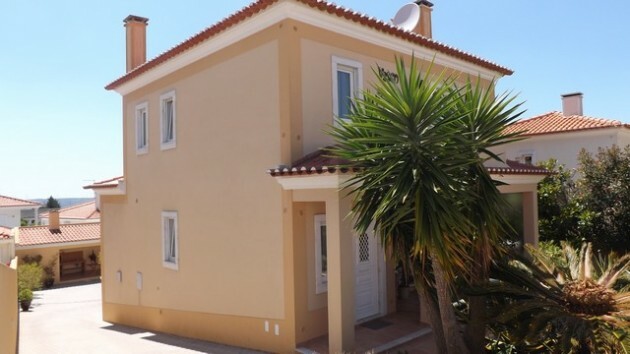 This is an excellent investment opportunity for someone looking for a holiday home, a rental investment or a place to retire.